Accuracy to the book: This film is a miniseries so it follows the book closely, often quoting the actual book. However, it is not boring and long-winded as other P and P miniseries. Costumes: The costumes are very accurate and elegant. Elizabeth’s gowns are simple but pretty. They are usually in neutral tones. My favorite costume of hers is this one. Caroline and Louisa(r)’s costumes are very detailed and gaudy with plenty of silks, satins, and feathers. I like all the costumes in this film. Scenery/Sets: There isn’t very much scenery. What scenery there is, is quite pretty. The sets are not my favorite, but they do work well in this film. Sometimes they seem very ‘stagey’. Music: The music is my favorite part of this film. It’s very lively and cheerful and I listen to the soundtrack all the time. 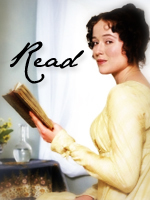 Elizabeth Bennet – I’m sorry, but Jennifer Ehle does not match up to my idea of how Elizabeth should look or act. Kiera Knightly takes center stage. She seems to proper to be Elizabeth – Elizabeth is supposed to be lively. Jennifer does have ‘fine eyes’ and I do like the chemistry she and Colin Firth have in the film. 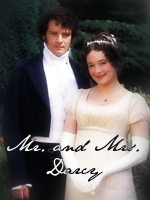 Mr. Darcy – Colin Firth isn’t Darcy. He doesn’t feel like Mr. Darcy. I think he’s the worst failing of this film. He just seems to be reciting his lines. Matthew Macfayden says them like he really means them. Some of the other characters I like better in this adaption than in the 2005 one – Mr. Bennet, Lydia, Mrs. Gardiner, Georgiana, Mr. Bingley and Wickham. However, I like Jane, Kitty, Mary, Charlotte, and Lady Catherine better in P and P 2005. 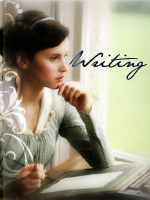 My Overall Opinion: This is nice adaption of Pride and Prejudice and does full justice to the book. I still like P and P 2005 better, though. 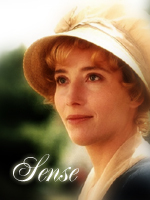 Accuracy to the book: Sense and Sensibility cut out some of the minor characters in the book – Lady Middleton, her children, and Ann (Nancy) Steele. However, these characters are not missed very much as they did not add too much to the story. The scenes in the movie do not feel rushed and flow naturally into each other. There are a few invented scenes – Edward and Margaret sword fighting, Edward almost telling Elinor about his secret engagement, and Marianne in the driving rain looking down on Allenham. In some cases, the movie almost follows the book but not quite. For instance: In the book, Elinor runs out of the room in tears. In the movie, she slumps down into a chair and then Edward proposes (so romantic…) These instances, IMHO, add to the story instead of taking away from it. Overall, the film follows the book closely in some areas and deviates in others. 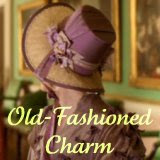 Costumes: I love the costumes in this film – especially Elinor’s. The dress she is wearing in the above picture is simple but it’s one of my favorites. I also like the ball gowns she and Marianne wear (although they are a bit too low). The costumes are very well done and I like them all. Scenery/Sets: The scenery is, at times, truly breathtaking and magnificent. The sets are very realistic and are (I believe) true to the period. Music: Patrick Doyle did an amazing job on the music. My two favorites are ‘Throw the Coins and ‘My Father’s Favorite’, two amazing tunes. You can listen to TTC here and MFF here. ‘Throw the Coins’ is my favorite piece of music – period. ‘The Last Dance’ from Emma comes right after it. Elinor Dashwood – Emma Thompson may have been too old for the role of Elinor (in the script they changed Elinor’s age to 27 so that she would be closer to Emma’s actual age) but I can’t imagine Elinor any other way. She did a lovely job. 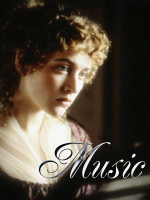 Marianne Dashwood – Kate Winslet did a great job playing Marianne. She brought out Marianne’s highly romantic spirit to life wonderfully. Did you know that she and Emma lived together for awhile to develop real sisterly affections for each other? I think it worked. Colonel Brandon – Ah, Colonel Brandon. Probably my favorite Jane Austen hero. Alan Rickman plays him wonderfully. This is my favorite Col. Brandon scene. or I shall run mad. The other characters are also well played. I like Margaret (and her sword fight with Edward), Mrs. Jennings is just the right mixture of vulgarity and kindness, Lucy Steele always makes makes me grit my teeth, and the Palmers always make me laugh. 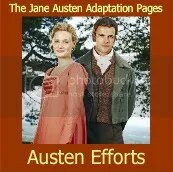 My overall opinion: This is my favorite Jane Austen adaption ever, probably because of the lovely ending. I would highly recommend it to any Janeite. I decided to re-do my review of Emma 2009 using my new format. Hope you enjoy it. Accuracy to the book: Since this Emma adaption is a miniseries, it follows the book to a T, but without being long-winded (as I heard the old miniseries was). It’s a perfect adaption. I think Miss Bates wasn’t portrayed quite as accurately as she could have been but she was still good. Costumes: I love the costumes in this film – especially Emma’s. They are so beautiful and well-made. This is my favorite Emma costume. It seems to be made out of blue satiny material, with two brown/gold stripes down the middle and a ribbon around the waist. Harriet’s clothing mimics Emma’s in some scenes. I like it. Mrs. Elton’s gowns are always very gaudy and not very nice. They reflect her vulgar character. The other character’s costumes are very well done. I like Jane’s gowns very much indeed. Music: How can I describe the music? It’s so wonderful and beautiful. I find myself humming the opening music all the time and The Last Dance is indescribable. Emma – Romola Garai plays Emma very well. Next to Gwenyth, she’s my favorite Emma. At the beginning of the film she was very annoying (but I suppose Emma is supposed to be like that). Mr. Knightly – Johnny Lee Miller plays an exceptional Mr. Knightly. He’s my favorite Mr. Knightly. I loved his delivery of the “If I loved you less I might be able to talk about it more” line. 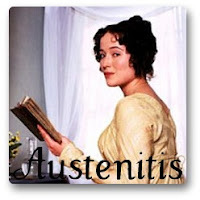 My final thoughts: This is one of my favorite Jane Austen adaptions. I would give it five out of five stars. I just watched this lovely adaption of Emma today. I can’t wait to share my thoughts about it. I’ll be starting a new format for my reviews which I borrowed from Miss Laurie of Old-Fashioned Charm. Hope you like it. 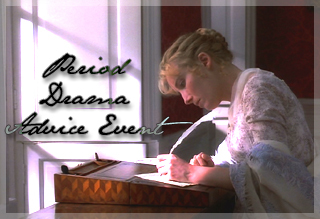 BTW, I will be re-reviewing some Jane Austen films such as S and S (1995) and both adaptions (1995 and 2005) of P and P later, using this format. Accuracy to the book: This Emma adaption stayed true to the book in some ways but not in others. For instance, Harriet is not portrayed how Jane Austen described her. Her hair is red (!) for one thing and she is not small and petite as I always imagined Harriet to be. She is very pretty, though. Some parts were cut out or speeded up, but that is understandable because it is only two hours long. However, for the first hour, I felt as if the story was moving along way too quickly. They merged the strawberry picking and the Box Hill incident together, but I didn’t really mind. However, most of the major events were left complete – Christmas at Randalls, the Coles’ party, the ball, and the proposal. 🙂 There is one thing that I do not look back upon with pleasure; they took out Mr. Knightly’s best line – “If I loved you less, I might be able to talk about it more.” Even the 1997 adaption left that in! Overall, this adaption stayed quite true to the book with a few differences. Costumes: Emma’s costumes were very simple, but elegant. I liked several of her gowns, though, oddly enough, not her ball gown (the ball when she dances with Mr. Knightly). I did like her cape in that scene even though you hardly get to see it. I especially like her costume when she and Mr. Knightly are shooting arrows (and words!). The other gowns reflect on the wearer especially Harriet’s – they are almost childish in appearance. I won’t describe the men’s costumes because they are not very interesting IMHO. Scenery/Sets: The target practice scene is shot (no pun intended :)) at a nice location. Other than that, the scenery was pretty, nothing else. Some of the sets were quite dark but the Bates’ house, the ball, and a few other scenes were quite brightly lit. Overall, the scenery and sets were quite normal for a movie. Although it had nothing like ‘Liz on top of the world’ I quite liked all the settings for the scenes shot in the movie. Music: The music in Emma was light-hearted and enjoyable. 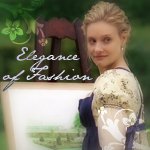 I especially enjoyed the music that plays when Emma and Harriet are sewing under the tent. Of course, the music during the Emma/Knightly dance is fittingly slowed down and made more romantic than many of the other tracks. Emma – Gwenyth Paltrow played Emma very well indeed. I always imagined Emma to be blond and I like how she rolls her eyes when Mr. Knightly reproves her during target practice. She is my favorite Emma. Mr. Knightly – Jeremy Northam might be a little young to play Mr. Knightly I still enjoy watching him interact with Emma (and reprove her). He carries off the “Badly done indeed!” scene perfectly. The other characters I will quickly summarize. Miss Bates is, I think, very true to how Jane Austen wrote of her. Jane Fairfax is convincingly reserved. 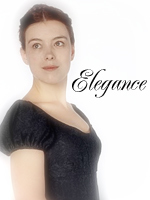 She looks a lot like Olivia Williams who played Jane Fairfax in Emma 1997. Mr. Elton is not well played – he looks too stupid. Mrs. Elton is perfect – vulgar and irritating. Harriet is not very true to the book but I like her anyway. Mr. and Mrs. Weston are played well but Frank Churchill’s hair is frightful (he had it too short so he had to wear a wig). My final thoughts: This adaption of Emma is one of my favorites and I would highly recommend it to anyone. Every time I watch this movie I fall in love with it all over again. The beginning, the middle, and the ending especially are all wonderful. Emma Thompson and Kate Winslet are perfect in their respective roles as Elinor and Marianne. I know that Emma is too old to be a proper Elinor but I couldn’t picture her any other way. 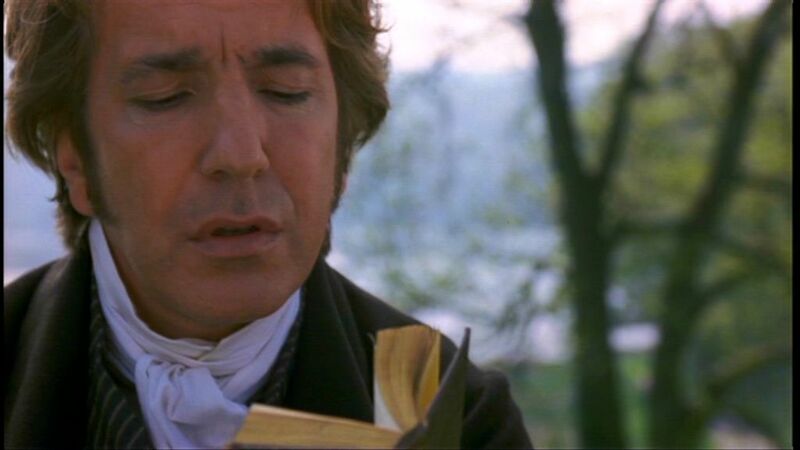 I think all the male actors are well cast too, especially Alan Rickman as Colonel Brandon. He brings life to what many people consider a dull character. I love the cinematography of this film. Everything is so perfectly beautiful. And I can’t even begin to describe the lovely music especially ‘Throw the Coins’. Shivers run up my back whenever I hear it. Even though I’ve watched S and S several times, I find that by the time I get to just before Edward’s proposal, I’m as tense as Elinor must be. I always cry at his proposal and the wedding. Such a happy ending to all their troubles. Um, I believe I got a little carried away. But I just couldn’t resist putting up all those lovely photos. 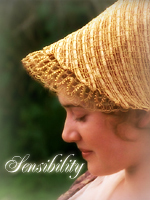 Sense and Sensibility is my favorite Jane Austen film (mostly because of the beautiful ending) and I would highly recommend it to anyone. Let me end with Marianna’s favorite sonnet.